“The ever-growing market demand for lightweight and durable roll bodies in combination with the most accurate ceramic surface brought Pronexos and Apex International together” comments Ken Ralton – Owner of Apex International. “We have full confidence that the joint cooperation will be of additional value to the endusers in the printing and packaging industry”. 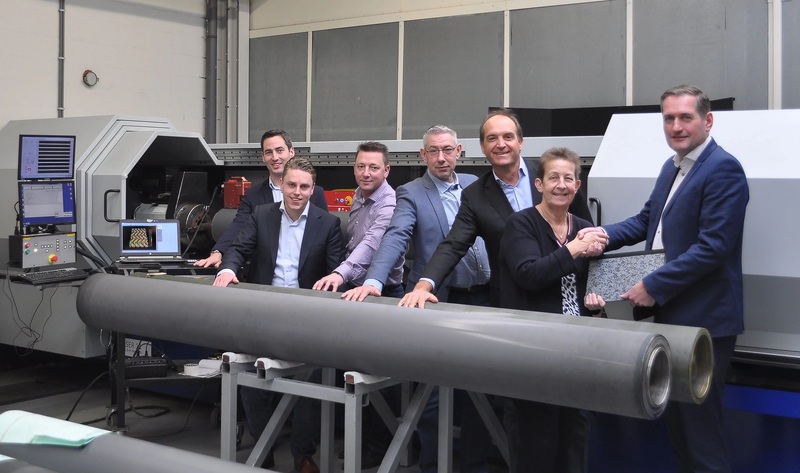 The new partnership can be seen as another example of the increasing trend towards the use of carbon fibre in the packaging and printing industries. Modern carbon rollers provide significant benefits over traditional steel rollers, such as improved productivity by increased speeds, energy saving thanks to reduced weight and easier handling for safe replacement.